Great patterns. Where do you purchase your feathers for the wings? Thanks Ron. I buy my hackle at local shops and online. I get alot of my tying materials at L.L.Bean in Freeport. 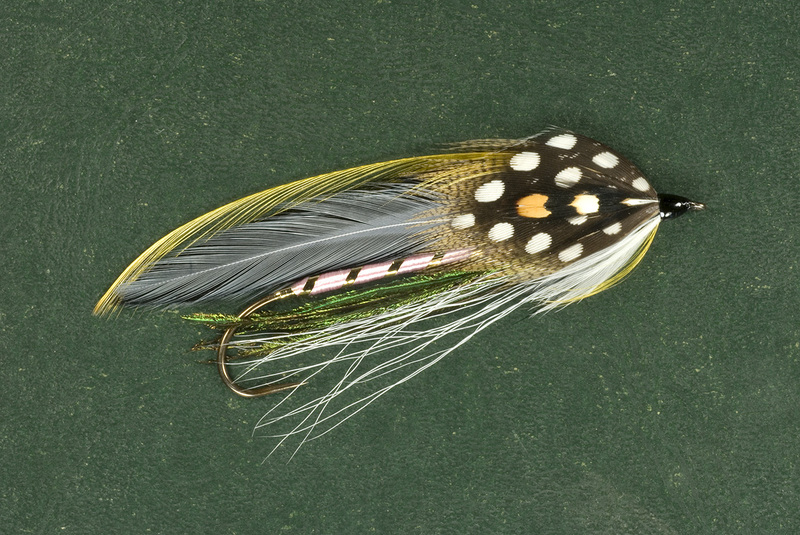 This particular fly was tied with strung hackle. Sometimes that’s what I have to get to get the color I want. I also custom dye when I need to. This pattern is fun to tie and looks great in the water. Arrived home tonight to the new “Fly Tyer” magazine. While I always enjoy a quick browse, your article and photos have stopped me in my tracks AND led me to your site, and I’m using your photo from the cover shot, as my screen saver. (if you don’t mind?). Needless to say, you have a new fan! Wow. What a compliment! Thanks, Rich! It’s been really crazy here without much time to “blog”. Enjoy the streamer pic and look for me on Facebook. I discovered your flies in my Fly Tyer magazine. I find them incredible…pieces of art. I am inspired. I have made flies in honor of those I love but now I will try to tie in a more artistic story.Thank you for sharing your gift. The greatest compliment is to inspire someone else! Thank you Kathy, when the dust settles I’ll be adding a few to the blog….maybe there’ll be some new “ideas” for you. Hi Sharon, I recently picked up Fly Tyer magazine partially due to the cover photo. Beautiful work! Loved the idea behind your fly designs and enjoyed the magazine article. Quick question, Do you offer any of your flies for sale? The flies and the stories behind them would look great framed.